Ebuddy is just another mobile instant messenger like Nimbuzz and Talkonaut. It supports instant messaging and calling over Google talk, Yahoo messenger, MSN, AIM, Facebook and Myspace. Ebuddy also has a web messenger, where you can sign into your messenger network and start chatting from the web interface itself. Ebuddy mobile messenger is available as a software as well as a mobile portal just like web messenger. Download the latest version of Ebuddy mobile messenger here. A mobile portal where anyone with a data plan can access their social accounts in one place. Login with your GTalk, Yahoo messenger, MSN, Facebook, Myspace password and start chatting instantly. 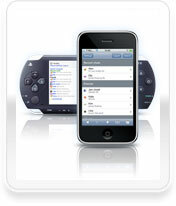 Optimized mobile portal for iPhone, Sony PSP and Blackberry. Features of Ebuddy mobile messenger software. 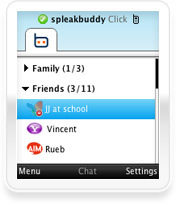 Ebuddy mobile messenger is compatible with more than 2000 mobile devices. Tabbed browsing interface for each instant messenger account. Ebuddy supports Myspace and Facebook. Take photos in your camera mobile, set it as avatar or share with friends in Gtalk, Yahoo messenger, AIM, ICQ, Facebook and Myspace. Download eBuddy mobile messenger here. eBuddy is now compatible with Windows Mobile, Android, iOS, Symbian and a wide variety of mobile operating systems.